The current price is 38500 Euro. 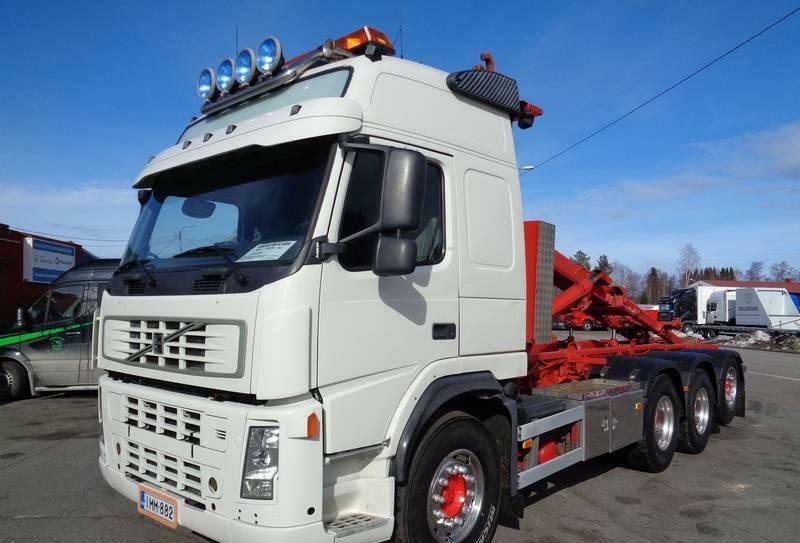 The detailed specification of VOLVO FM 12 hook lift truck is provided below. Engine/driveline: Euro 3, 453 hp, transmission: I-shift. Chassis configuration: suspension: spring/air, 8x4, wheel base: 3700 mm, front tires: 35/40 %, 385/65 R 22,5, rear tires: 315/80 R 22,5, 65 %. The parking site is in Finnland, Finland.